Bill on a Taleblazer Tour | Welcome to the official Bill Bunn author site! A couple of weeks ago, I had the privilege to take part in Young Alberta Book Society’s Taleblazer tour. What a good time! 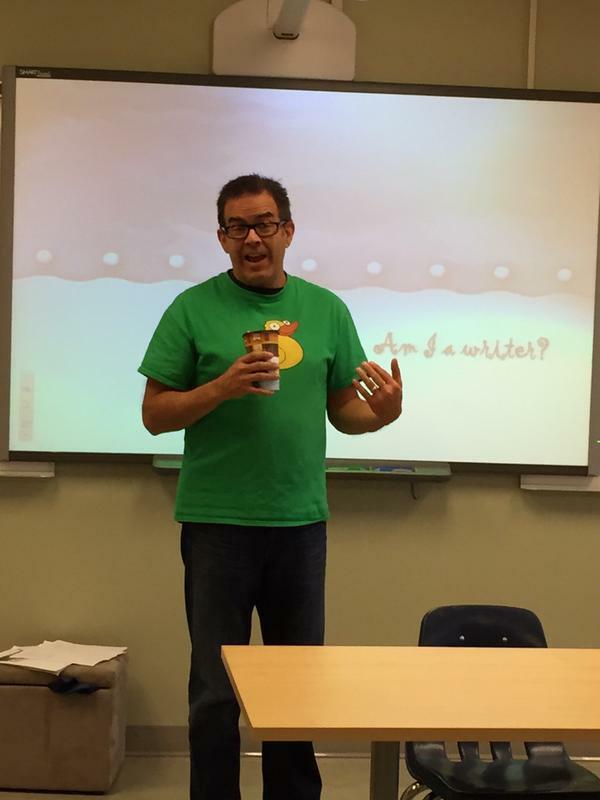 I visited Ecole Sir George Simpson, in St. Albert, and talked to a couple of groups of students about writing. What an excellent visit! Thank you for inviting me! They ask good questions. I was also able to visit Wolf Creek Academy in Lacombe. We spend the morning in a small group talking about what it takes to write a novel and whether or not students could take on the task.This is a picture of me, there. Thank you Cheryl Gascoyne for snapping a few pictures. What a great group! The weather was awesome. The company fantastic. Thanks for letting me drop by! Special thanks to the YABS pros, Stephanie and Jenn. It was well arranged and a lot of fun.